Perhaps the most exciting thing about Final Fantasy XV’s release on PC was the promise of mod tools. Why play as the sullen goth Noctis when you could lead your band of buddies as Gordon Freeman, crowbar at the ready? 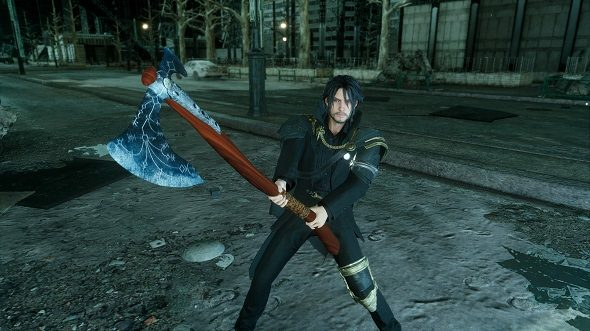 Well, Final Fantasy XV’s mod tools have finally arrived, so prepare for things to get mighty weird. The tool is called Mod Organizer, and it’s available to download now through either Steam or, for the Origin and Windows Store versions of the game, directly from the official site. It’s not a creation tool – you’ll have to make your own assets with other software – but it allows you to import existing models and textures into the game and assign attributes. This is it: our list of the absolute best RPGs on PC. Right now, Mod Organizer limits you to creating new outfits, new character models, and adding new weapons. That’s enough space to create all kinds of bizarre crossovers though, as Steam Workshop users have ably demonstrated over the last couple days. You can, for example, use Kratos’ Leviathan Axe from God of War by downloading Steam user TheJoJoNetwork’s mod. Or, if that’s not nihilistic enough for you, you can replace Ignis with a demonic Thomas the Tank Engine. To keep things balanced, Mod Organizer limits the number of points you can assign to weapons – you’ll have 100 points to distribute between each new weapon’s attributes, so no Vorpal Lightsabers of Instant Doom are allowed. But as far as NPC models and outfits go, the sky (or apparently the abyss) is the limit. You can download the tool from the official site if you purchased Final Fantasy XV through either the Origin or Windows storefronts. If you have the Steam version, you can download Mod Organizer as a separate Steam app. I think we can all rest assured that these new powers will only be used for good.